When people are exposed to harmful chemicals, pollution, and other substances in the environment, some people get sick and some people don’t. It’s even true that people who are part of certain groups are more likely to have bad health effects from being exposed to harmful chemicals than people from other groups. The groups that are more vulnerable are known as susceptible populations. Examples of susceptible populations include unborn fetuses, children, pregnant women, the elderly, the malnourished, those who have a certain version of a specific gene, and people who have chronic diseases such as cancer, asthma, or diabetes. Center members who work in the Susceptible Populations (SSP) ARE focus on environmental exposures in these vulnerable groups. Specifically, SSP ARE researchers study reproductive toxicology (for example, chemical exposures that affect fertility); embryonic and fetal development and teratology (the study of substances that cause birth defects); infant and child development; and, the susceptibilities of aging. Investigators in the SSP ARE are also interested in learning how environmental exposures during prenatal development and childhood contribute later in life to adult disease. 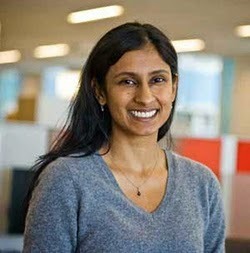 One of the members of the SSP ARE, researcher and pediatrician Dr. Sheela Sathyanarayana, studies the health effects of being exposed in utero and in childhood to the endocrine-disrupting chemicals (EDCs) phthalates and bisphenol A (BPA). Phthalates and bisphenol A are used in common products and industrial processes, and most humans in the industrialized world are exposed to them. Phthalates are added to plastics to add flexibility. Exposure to phthalates during gestation is associated with male reproductive tract abnormalities; exposure during childhood has been associated with increased risk of asthma and eczema. Exposure to BPA has been studied in pregnant animals and their babies, and is associated with abnormal development. Sheela Sathyanarayana and her team conducted a small study to learn whether eating an organic diet prepared without plastics versus being given educational materials about avoiding plastics would reduce exposure to phthalates and BPA. Ten families with 40 family members in all participated. Families were randomly chosen to (1) eat an organic diet provided to them that had been prepared without using plastic tools or storage containers or (2) receive educational material about how to reduce exposure to EDCs in the diet. Urine samples were taken before, during, and after the 5-day intervention to measure phthalates and BPA. The researchers predicted that levels of the chemicals would be lower in the group that ate organic food. The title of the paper that reports this study is Unexpected results in a randomized dietary trial to reduce phthalate and bisphenol A exposures.1 The unexpected result was that the urine phthalate levels of the participants who ate the organic diet spiked to 25 times their phthalate levels before they ate the diet. Participants who followed advice from educational materials showed no significant change in their phthalate levels. To understand how those who ate the organic diet had consumed phthalates, the food ingredients used in the organic replacement diet were tested. Slightly higher than expected levels of phthalates were found in some of the dairy products, as well as in ground cinnamon and cayenne pepper. However, ground coriander spice was found to have an astronomical phthalate concentration of 21,400 ng/g, forty times the concentration in the dairy products. The team calculated that the total daily intake of the children who ate the organic food prepared with contaminated coriander was 9 times the oral Reference Dose (RfD). The RfD is the maximum acceptable oral dose of a toxic substance, as determined by the Environmental Protection Agency. Governmental or industry regulation to reduce phthalates and BPA in food may be needed to keep the food supply safe from contamination. Dr. Sathyanarayana received CEEH Pilot Award funding in 2009-2011 to study the effect of phthalate exposure and genetic variation on male genital development. Sathyanarayana S, Alcedo G, Saelens BE, Zhou C, Dills RL, Yu J, Lanphear B. Unexpected results in a randomized dietary trial to reduce phthalate and bisphenol A exposures. Journal of exposure science & environmental epidemiology. 2013;23(4):378-84. Epub 2013/02/28. doi: 10.1038/jes.2013.9. PubMed PMID: 23443238.